Making local United Ways more accessible in a mobile era. United Way brought us in to bring their tried-and-true fundraising model of workplace giving into the digital age. 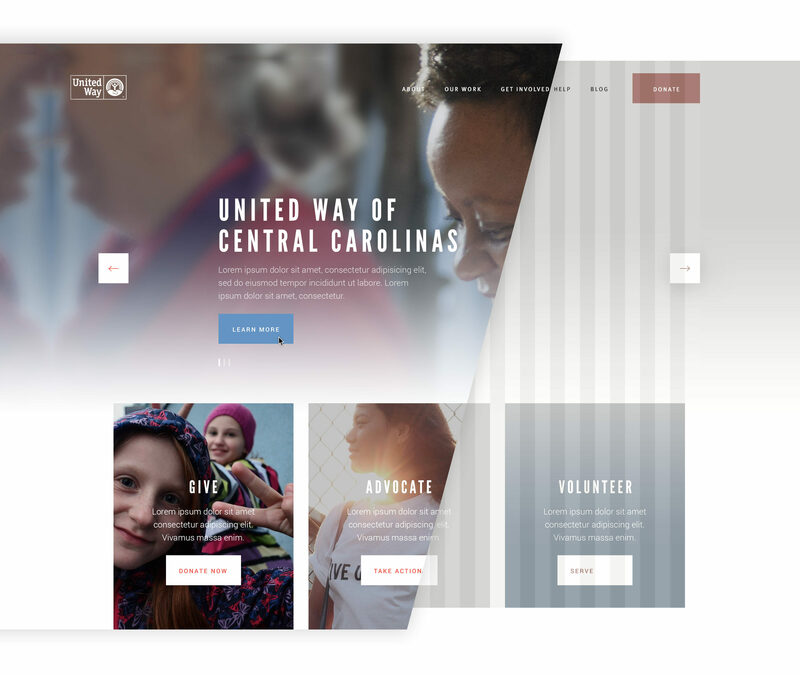 Because all United Ways are independent organizations, they needed to be united through digital campaigns that would feel global yet still work at a local level. 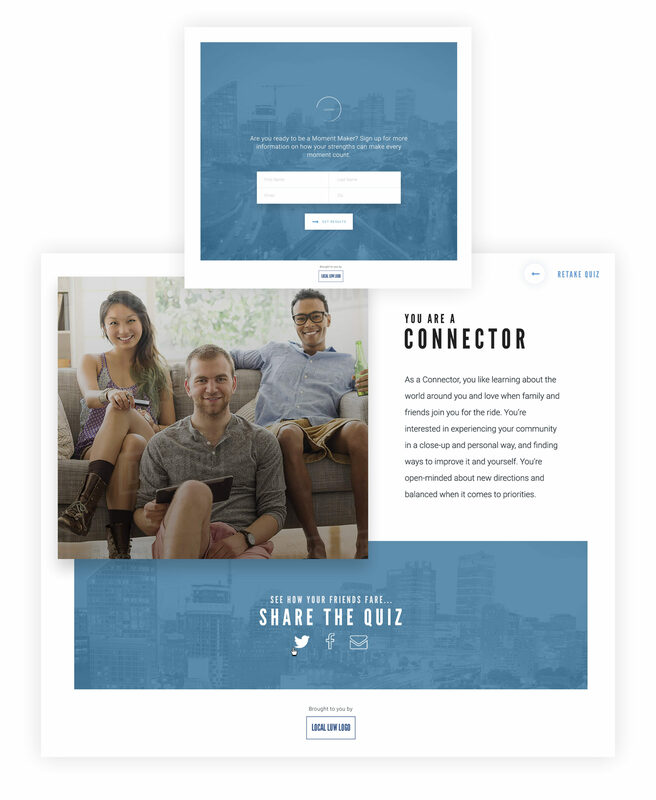 Although United Way is wildly experienced, communicating their message to a digital audience was a new approach. So we themed the year as a love story, getting people to fall in love with United Way as if they were meeting again for the first time. It shaped a language that made the donor the hero of the story, it showed us to listen more than we speak, and it made sure we were doing everything we could to get donors’ attention. We started by addressing the need to attract and interest potential donors by creating the Make Your Moment campaign. 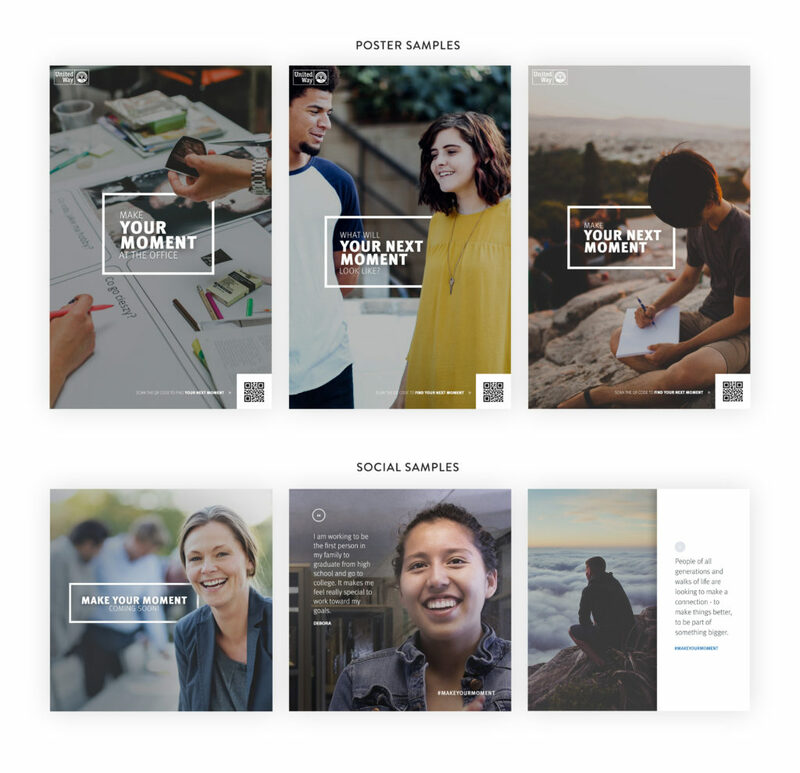 The campaign focused on attracting donors of all stages to learn about themselves first and then what the best ways were for them to connect with their community. This gave us data to work with and showed people we were listening to them. We knew that mapping the entire journey for donors would be essential. So we strategized what every touch-point would be for every donor type, and we set out to automate the process. 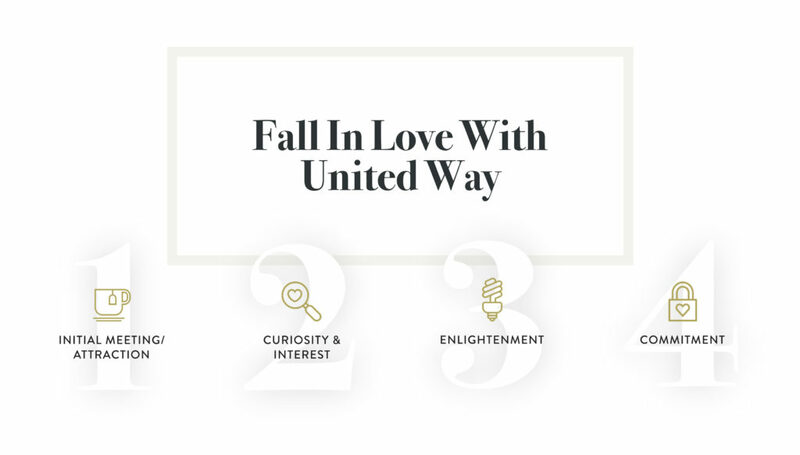 As this rolls out, every United Way donor will get a tailored, personal communication series that will connect them to the work they care about. With all the data came a new technical solution within Salesforce. It was built on a unified data set with the capability to sync back to the systems of record for what’s now more than 20 of the leading United Way branches across the country. Introducing new channels and a faster pace of communication meant that we needed to deliver lots of assets to be shared and localized. So we made articles, stories, posters, emails, videos, and a whole lot of social graphics. Because in the end, the campaign would only be as good as the number of people we could reach. 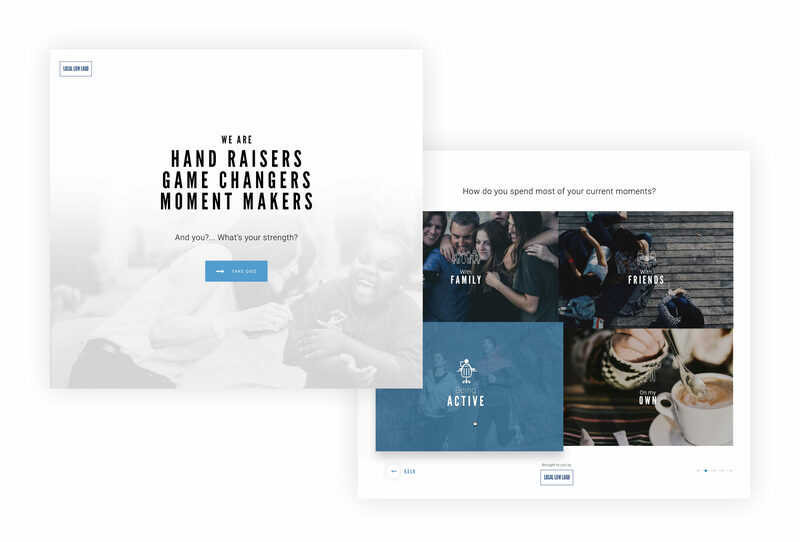 As we move into our second year of engagement, we now service over 20 local United Ways, and we’re expanding our deliverables into website templates, digital products, and what will become the model platform for donor engagement among other organizations. If it sounds bold, it is– because any work with United Way deserves to be. We worked closely with Salesforce to architect much of the technology. This video premiered at Dreamforce and does a good job showcasing what we are doing. We work on digital products - large to small - for social good. Work on our team or with our team.